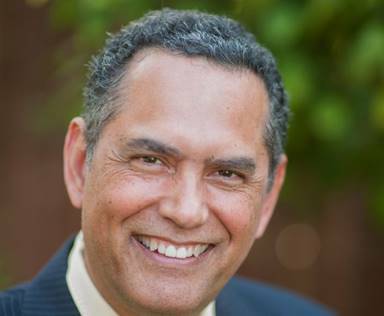 Last night, on a 5-2 vote, with Willis and Beckles voting no, the Richmond City Council approved a five-year contract with Carlos Martinez, currently city manager of East Palo Alto, to be Richmond’s new city manager. Martinez is expected to make the move sometime in October, if not earlier, and current City Manager Bill Lindsay has agreed to stay on until the transition is complete. Due to deadlines for placing items on the November ballot and the need to approve Martinez’ contract before a month-long break until the next meeting on September 11, City Council members were unable to participate in the neighborhood events of National Night Out. It is unclear why Beckles and Willis voted against approving Martinez’ contract. Typically, it is good policy for a new city manager or director of a city or other organization to come in with a unanimous public vote from a city council or board when is clear that the appointment will prevail. This gives the public and staff both optimism and confidence in the future and gets the new official off on a positive footing. Sowing the seeds of doubt in in no one’s interest. I think what Beckles and Willis did was ill-advised, short-sighted and possibly a result of their inexperience and naivety in the public policy realm. Following several interviews and a public hearing, Richmond City Council selected current East Palo Alto City Manager Carlos Martinez to replace recently retired Bill Lindsay as Richmond’s top administrator. At its meeting Tuesday, Richmond council is set to decide on whether to approve a five-year contract to pay Martinez $260,000 annually, about $358,000 total compensation, with the potential for annual increases tied to performance. Martinez was chosen among over 30 candidates, as well as three finalists who included former Alameda City Manager Jill Keimach, and former Oxnard Assistant City Manager Ruth Osuna, according to the city. Martinez will have big shoes to fill in replacing Lindsay, whose 13-year tenure guided the city of Richmond through the recession intact. As we reported recently, Martinez was appointed city manager of East Palo Alto in early 2015 after 11 years serving in various management roles with the city. The Nicaragua native also worked for the city of Hayward. In East Palo Alto, population of about 29,000, Martinez says he’s managed large controversial projects in a city similar in diversity to Richmond. Like Richmond, East Palo Alto was once one of the nation’s murder capitols but has since improved, with zero homicides in the last two years. Martinez came to the U.S. after studying architecture in Mexico City. He started a business before entering the UC Berkeley graduate program to obtain two Masters degrees in architecture. He spent time working for a multi-national firm and at nonprofits, as well. The Richmond City Council meeting starts at 6 p.m. Tuesday at 440 Civic Center Plaza. To see the agenda, click here.